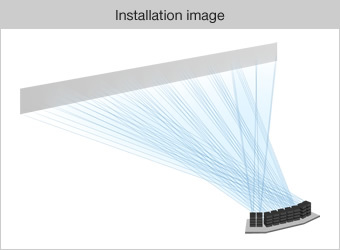 - The compact and lightweight body enables the projectors to be installed in various locations. - High brightness and high picture quality ensure bright and vibrant large-screen projection. 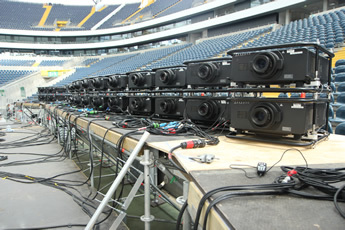 - The Multi-Screen Support System enables seamlessly edge-blended, dynamic projection. 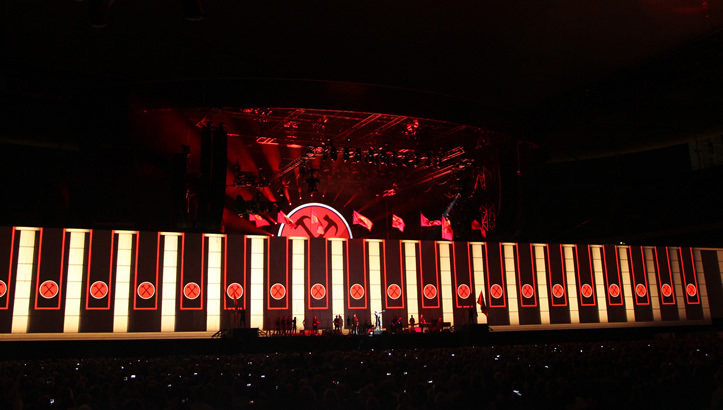 Roger Waters’ seminal ‘The Wall Live’ world tour returned to Europe in 2013. Designed by AV experts, this immersive audio visual experience pulled the audience deep into its storyline in an entirely new manner. Panasonic’s flagship projectors worked faultlessly, meeting the experts’ needs for absolute reliability. 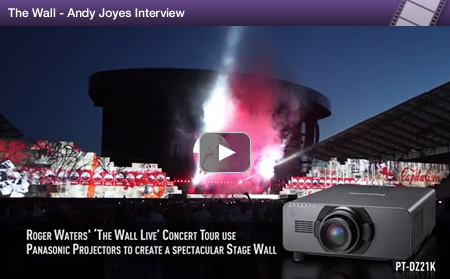 XL Video are the multi-award winning provider of creative video solutions to concert touring and they were responsible for the projection on Video Director Richard Turner’s innovative video display on Roger Water’s “The Wall Live” concert tour. 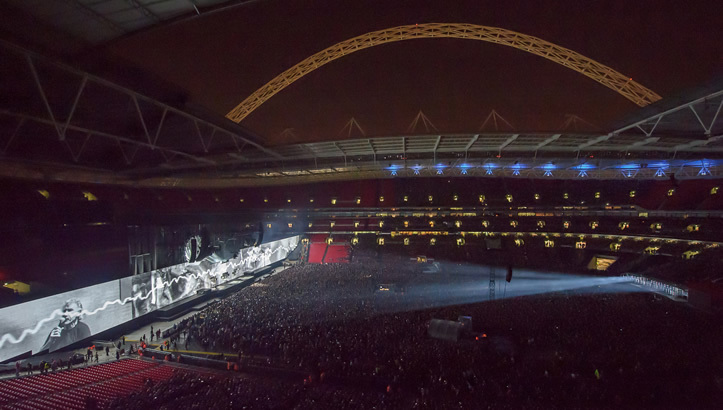 To bring these creative shows to life, 36 units of 20,000-lumen 3-Chip DLP™ Panasonic PT-DZ21K and PT-DS20K projectors were installed into grand scale stadiums and arenas. 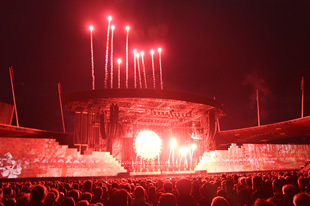 The visual system featured both stadium and arena versions and is acclaimed as one of the most memorable and technically ambitious touring shows on every level. 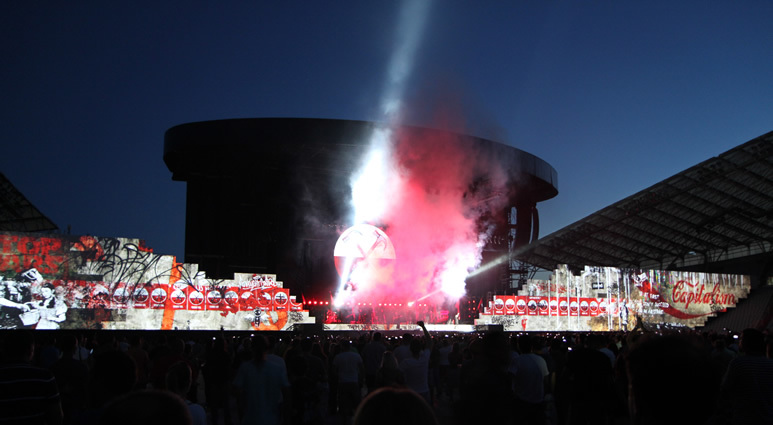 The use of Panasonic PT-DZ21K/DS20K 3-Chip DLP™ projectors ensured high brightness and high picture quality for bright, vibrant large-screen projection even in outdoor arenas. 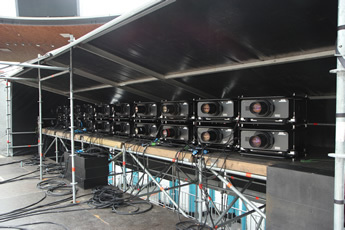 Because the projector body was compact and lightweight, the projectors could easily be installed into a variety of locations. 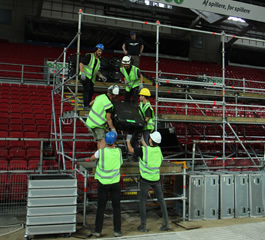 The compact, lightweight body allowed smooth installation onto scaffold platforms and lighting bars. 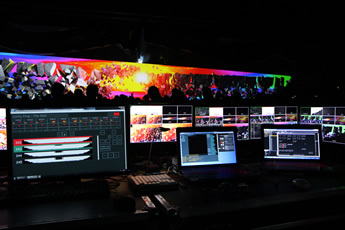 Panasonic’s Multi-Screen Support System (Edge Blending / Color Matching) and Geometric Adjustment function maintained high image quality while allowing 3D projection mapping. 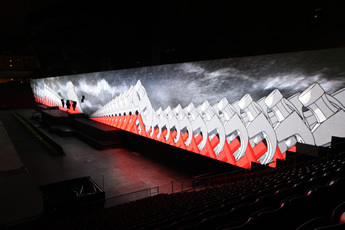 The stunning, provocative and highly emotive show visuals were projected onto the wall by 36 PT-DZ21K/DS20K projectors - divided into nine screen areas - each arranged by a quad stack on scaffold platforms. The PT-DZ21K/DS20K projected imagery with exceptional brightness levels onto the colossal wall. 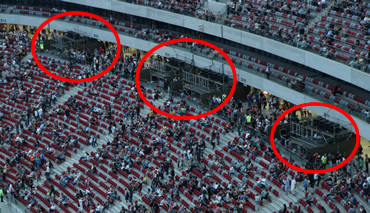 A total of 36 PT-DZ21K/DS20K projectors were arranged behind the arena seats. The large, seamlessly edge-blended wall dazzled the audience. 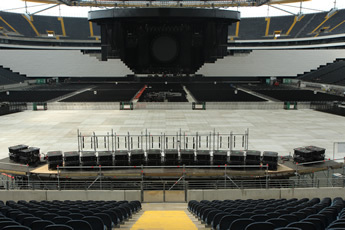 Poland’s largest arena holds more than 50,000 spectators. 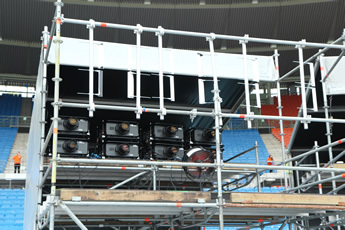 The PT-DZ21K/DS20K projectors were installed within the stand seating area. 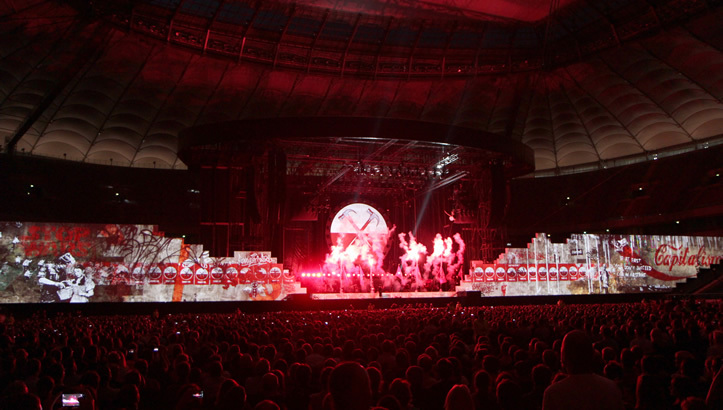 “The Wall Live” tour was performed all across Europe, with more than 25 shows in a 3-month period. The Panasonic PT-DZ21K/DS20K projectors provided high performance even under harsh tour conditions, proving their outstanding reliability. 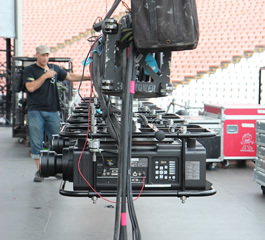 XL Video are a multi-award winning provider of creative video solutions for concert touring, theatre & the arts, corporate, indoor/outdoor events, and television. 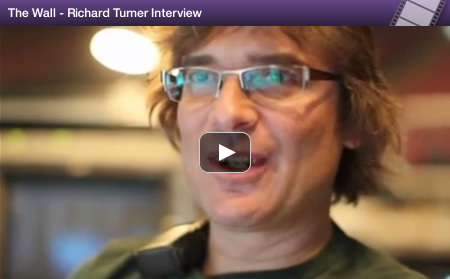 They guarantee creativity and full technical support to put together cutting-edge video solutions for some of the most innovative and aesthetically daring shows in the world.